We are a Music Duo who perform at live events all over Scotland. I just wanted to provide you with our details for when you are looking for live entertainment at any of your events. We can cater for any type of event from singing waiters, drinks receptions to your evening reception. As each event is personal to your client, feel free to get in touch and we can discuss your requirements. In the meantime head over to our Facebook to listen to our tracks or view our promotional video. Why not have Live Entertainment without the cost of a full band! 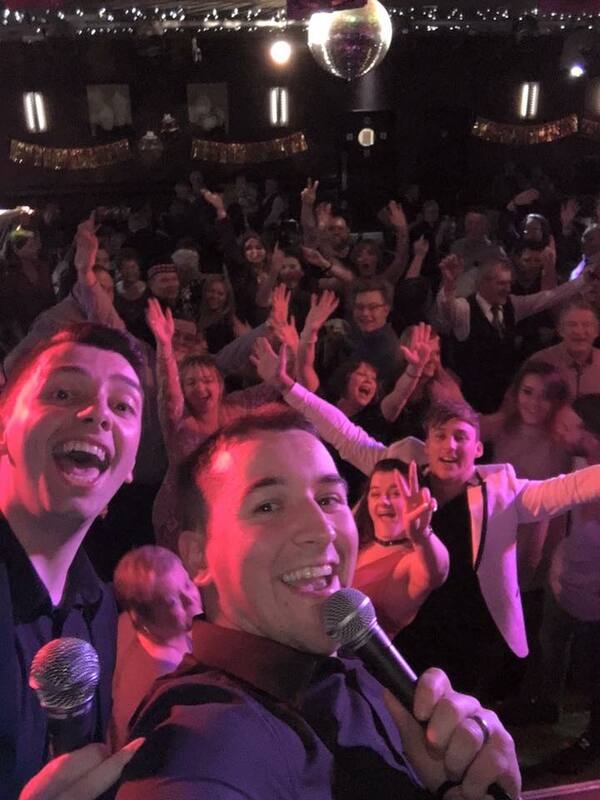 As we are both singers we have a wide variety of songs at our disposal which means we have something to suit your evening and have that party atmosphere that you want. With an option to add a few Ceilidh Songs throughout the evening, your guests are guaranteed to have a great night. How do you think they would feel when the waiter who has been serving them wine suddenly bursts out into song? Especially when it is something they can join in and sing along to. Well why not book our Singing Waiters package that will have us fooling all your guests and singing between 3-5 songs of your choice while you sit back and see the look on their faces. Do you want something subdued or would you like to get the party started early? Let us entertain your guests while you are getting those everlasting photos taken, we can offer a number of different options that will fit in with whatever your requirements may be. 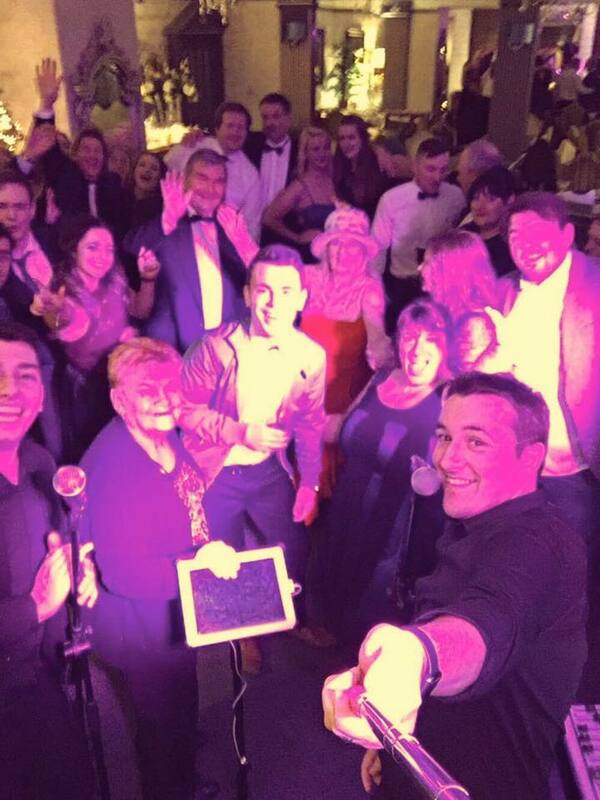 When booking us you get two singers which allows for a wide variety of songs which will ensure your guests are well entertained. Are you wondering who can sing that all important song at your Ceremony? Let us take the pressure off your guests as we sing that special song no matter when you need it, so whether you need someone to sing while you are walking down the aisle or signing the register then you don't need to look any further.